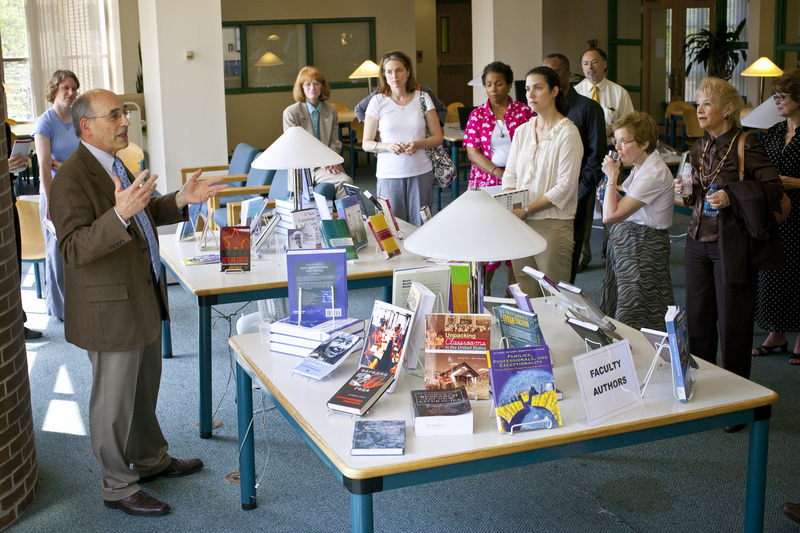 Montclair State University faculty, staff, and administrators gather in the Sprague Library to recognize the members of the University community who have had books or other works published in the past few years. Author or co-author of a monograph or textbook or exhibit catalog. Translator or co-translator of a monograph or textbook or exhibit catalog. Editor or co-editor of an edited volume or textbook or exhibit catalog. Artist/composer/performer/producer of a commercially published work and/or publicly performed medium resulting in a CD or DVD. Catalogs of exhibits in the George Segal Gallery. The Library would be pleased to accept a donation of a copy of your work to be included in the collection. Please send it to the Library Dean's office (Room 210, Upper Level). If you do not have a copy to donate, we will order the item.